This is the sample drawing, which I used to transform into the final drawing with similar ideas, but added onto it from the sample drawing. The study model was created after I drew multiple diagrams of binary relationships, and a sample drawing. This allowed me to shape the final model and final drawing. Although I used the same binary on the study model as I did with the final model, I changed the way I incorporated this binary. After drawing concepts of binary relationships, I chose the one that I liked the most which is irregular vs regular. From that I made a drawing that created a form of regularity and irregularity. This drawing helped transform the 2d drawing into a 3d model. I used museum board to illustrate regularity and irregularity. I used the black museum board to show irregular figure, because I saw black as more of an aggressive ground, while the white color was used to represent regularity, because white symbolizes purity and perfection. However, both regularity and irregularity are needed one does not stand by itself, but together. I used different angles to photograph the model, to show how the different orientation can be seen. 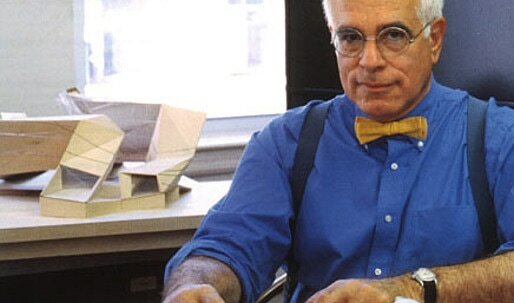 Peter Eisenman, as the second project started each client was given a precedent architect so that we could use some of that person's form to design the house for my client, who is an archaeologist. From his works I was influenced by the City of Culture and his various use of slope or curved roofing and I incorporated that into my design. These images portray my work process as these were some of my preliminary works that eventually lead to the final model. These study models helped me understand what I could do and what I cannot do reality wise. These also reflected my final model in the sense of the sky light and also the idea of roof deck for my final model. This is the client media social page. Through out the project all of my peers and I had to create a social media page which reflected our client for the final project. My client was the Archaeologist and I addressed what her habits were, what she liked to do during her free time, what she enjoys, and images of works that an archaeologist would do. Although the client is not real we addressed the clients as a real person and that helped understand what is important for architecture, and that is your design should reflect the client and not reflect what you want to do to the design. The first image and the last image I was trying to figure out what kind of floor plan I should implement on my model. 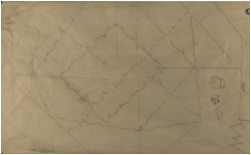 With these sketches I decided to use the last sketched floor plan for the house. The middle picture I was drawing an outline of what the final model could look like after doing many research on some buildings of ancient time like the Temple of Lexor. These are some pictures of my final model from different angles to portray the surrounding and to give clarity and be able to understand how my model works and relates to sustainability. This were the final parts of the project in this we were addressed to create digital model representing our final model. This allowed to show the interior spacing of the house which would not be easy to convey on the physical model due to lack of spacing. The rendering of the digital model gave it a realistic view of the model and what it would look like under the lighting of the sun.